Vaping CBD is quickly becoming a preferred method for consumers to enjoy CBD based products. 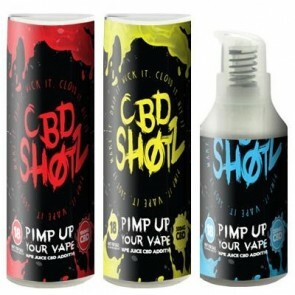 On the market today, you can find a plethora of different CBD vape juices that are ready to vape when you are. You will also, however, see many different CBD vape additives that are specially formulated to be added to other vape juices and e-liquids. Let’s take a closer look at what CBD vapes are as well as what CBD vape additives are including why many people prefer them over straight CBD vaping. CBD also known as Cannabidiol is a phytocannabinoid found in hemp and cannabis. CBD vape is a liquid form of CBD that can be vapourized and consumed through inhalation. This form of CBD consumption is growing substantially around the world. This is probably because it is a discreet and easy form of consumption. Vaping is also thought to be safer than smoking. Some consumers however simply prefer just how quick they feel the effects of CBD when inhaled over the lengthy period of time that they must wait to feel the effects with other consumption methods such as CBD infused edibles. 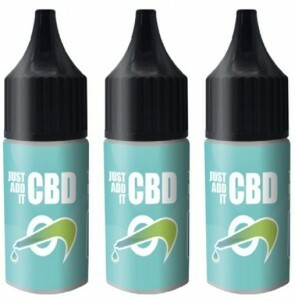 CBD vape additives are liquid CBD vape juices that are designed to be added to a consumer's preferred vape juice or E-liquid. Most vape additives are a base of MCT, VG, or PG with hemp derived CBD oils. While some CBD Vapes are meant to vape alone, CBD vape additives are intended to be added to other vape juices. Some additives contain additional flavourings, terpenes, and cannabinoids while some are unflavoured and contain only isolated CBD. CBD vape additives are growing in popularity amongst consumers, and this is for a great reason. Many individuals are choosing to utilize CBD vape additives in their favourite e-liquid and vape juices because of the potential benefits that CBD stands to offer. It is believed that CBD may help combat nicotine addiction as well as provide anti-inflammatory, antioxidant, and other medical benefits. By utilizing CBD vape additives, consumers that already participate in vaping might also receive some much-needed medical benefits, though there is no substantial evidence that this is true. For those who already vape, simply adding a CBD vape additive to their normal vaping routine could stand to provide extra benefits. 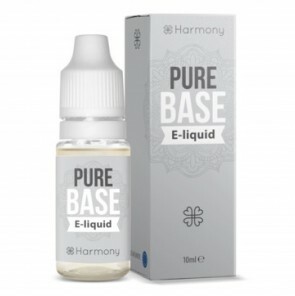 CBD vape additives are also very popular as they do not require those who vape to give up their favourite e-liquids and vape juices to be able to enjoy everything that CBD may stand to offer. CBD vape additives come in many different varieties. Some of these additives have no flavouring while other brands offer a plethora of different flavours for those who prefer them over the natural taste of CBD/hemp oil. The typical concentration of active CBD available in CBD vape additives ranges from just 5 mg of CBD per ml all the way to several hundred milligrams of active CBD per milliliter. This allows both beginners and seasoned consumers to enjoy the benefits that CBD may stand to offer through CBD vape additives. Here at Coffeesh0p CBD Store we sell top quality CBD eliquids, vape kits, oral oils, isolates, edibles and more. Search top brands and premium products. © 2006 - 2018 Coffeesh0p CBD Store. All Rights Reserved.